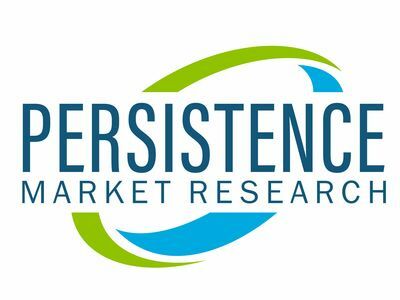 NEW YORK, March 20, 2019 /PRNewswire/ -- A recent report published by Persistence Market Research (PMR) delivers an insight-rich look at the global plant-based snacks market for the period 2018 - 2028. According to the report, numerous factors contribute to the growth of the plant-based snacks market, which is projected to record a striking CAGR of over 8% through 2028. Global plant-based snacks market is estimated to witness a proliferated growth, on account of rising awareness of health and wellness among consumers. Besides, a rapid increase in the adoption of vegan, vegetarian, or flexitarian diets is said to boost the growth of the plant-based snacks market. In addition to this, rising health issues and allergies have encouraged consumers to switch their eating habits and adopt plant-based snacks. A notable shift towards the natural food substitutes has been witnessed among the lactose-intolerant consumers, which is expected to contribute immensely to the growing size of the plant-based snacks market. The manufacturers of the plant-based snacks are endeavoring towards diversifying their product portfolio by leveraging crucial ingredients and flavors, in the bid to enhance the taste of the snacks and acquire a large customer base. Beside this, leading manufacturers of the plant-based snacks market have entered into strategic mergers and acquisition to broaden their existing range of product offerings. For instance, The Vegetarian Butcher, a vegan meat firm of the Netherlands partnered with Mora to expand its plant-based snacks business. As compared to the traditionally consumed snacks, plant-based snacks are devoid of sugar, fat, and oil content, which makes them a healthier option to prevent conditions like obesity, cardiovascular diseases, high blood pressure, and diabetes. Besides, the artificial flavors added to the fried snacks equally pose their share of the health threat to a human body, which remains a robust growth driver for the plant-based snacks market. The plant-based snacks market is estimated to achieve lucrative growth opportunities, on account of the evolving eating habits of consumers across the world. With the increased cognizance among consumers of the eating habits, there has been a conscious shift towards clean eating, thereby, creating a sheer demand for the plant-based food products. Plant-based snacks are relatively less flavorful as compared to their processed and animal-based counterparts, which is a challenge for the plant-based snacks manufacturers. However, the large-scale manufacturing of the salted plant-based snacks is leading to the rapid adoption of these snacks, which further boosts the size of the plant-based snacks market. According to the report on the global plant-based snacks market, the key players of the plant-based snacks market consist of General Mills Inc., The Unilever Group, Nestle, Primal Spirit Foods, Inc., Maple Leaf Foods Inc., Blue Diamond Growers, Inc., Eat Natural, Green Park Snacks Ltd, Louisville Vegan Jerky Company, Eat Real, Quorn, Oumph, Soul Sprout, Upton's Naturals, Nutrifusion, Drink Eat Well, LLC, Go Raw®, Greenleaf Foods, SIREN SNACKS, and Zellee Organic, among others. Manufacturers of the plant-based snacks market have intensified their capitalization to acquire relatively small companies, in order to expand their plant-based snacks business.